Made in a free world. 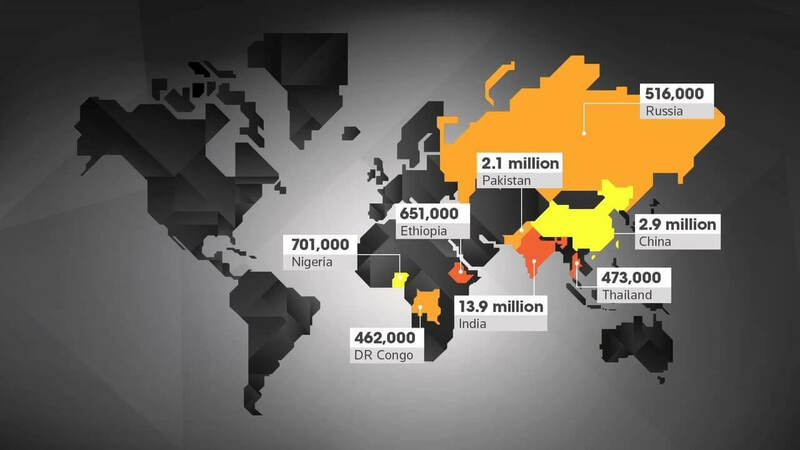 Over 45 million people are reported to be in slavery throughout the world. The UK introduced an anti-slavery legislation in 2015. In Australia, NSW passed legislation in May 2018, and Federal legislation are due will follow by the end of 2018. There is a growing global legislative requirement to ensure that larger organisations have an anti-slavery policy - to identify, action, and report slavery throughout corporate and government supply chains. Evidence of a company's anti-slavery policy will need to appear across major communication channels including company web sites, annual reports and social media. Through supply chain mapping and by connecting customer data with credible global procurement analytics data sources, we are now able to visualise risks by category and supplier, providing insights into the key risk drivers. This insightful perspective uses refreshable, easy-to-use dashboards, showing slavery risk throughout the entire supply chain. Using smart AI powered classification and connected procurement analytics, our Robobai Anti Slavery module can make sense of inconsistent and fragmented information. Without good spend classification, supply chain slavery data is like finding needles in haystacks for large organisations. Modern slavery has been unpunished, buried and out-of-sight. Now, flying under the radar is not an option. Consumers care about the products they buy, and the story behind those products. In a recent UK brand reputation study, 1 in 3 companies reported that negative social media content had damaged their business. Robobai helps you build a better supply chain picture to form a structure anti-slavery policy - to protect your brand, and help stamp out modern day slavery. Who does The Bill affect and how? Companies that have $100m revenue or more, including any company that operates and has employees in NSW with an annual turnover of above $50m. The Bill does not require the government to create a list of entities required to report but will publish submitted reports. Australian entities, and entities carrying on business in Australia, that have volunteered to comply with the Act for the reporting period. Companies won't face any penalties for shirking responsibility or false reporting. Instead, civil penalties will be examined in a review of the scheme which will occur three years after the laws come into place. Reporting entities will be required to provide statements within six months of the end of the reporting period. Reporting: Companies need to describe the structure, operations and supply chains of the entity – the risks of modern slavery practices in the operations and supply chains of the entity and any entities it owns or controls – the actions that the entity and any entities it owns or controls have taken to assess and address the risks identified, including due diligence and remediation processes – how the entity assesses the effectiveness of those actions and – the consultation process with any entities the entity owns or controls and include any other information that the reporting entity or the entity giving the statement considers relevant. It also recommended that as part of the first three-yearly review of the scheme, consideration be given to whether penalties should be introduced for entities failing to adequately report on the mandatory criteria and failing to take sufficient action on modern slavery identified in their supply chains. The government was unwilling to impose a penalty for failing to lodge a statement or for lodging an incomplete statement. The requirement and the public register means that companies that don’t report properly can be “named and shamed” by non-government organisations. Consumer pressure can itself become a sanction. The Bill does not require the government to create a list of entities required to report. It will only create a register of modern slavery statements that companies provide. Therefore decreasing the ability to hold organisations to account. Public scrutiny and investor and consumer pressure can only be effective if the public has a way of determining which organisations have failed to report.